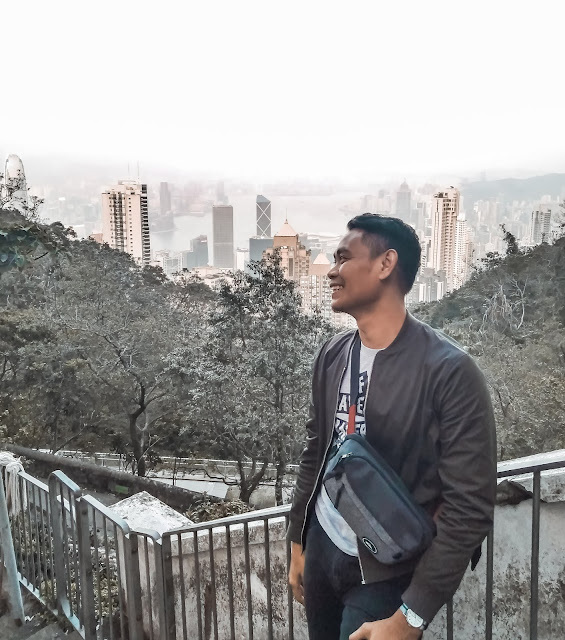 Manila, Philippines, 24 January 2019 –Game changer smartphone brand Realme Philippines officially partners with Shopee, a major online retail platform. This expansion further intensifies Realme’s presence in the e-commerce space and expands the brand’s reach in the country. 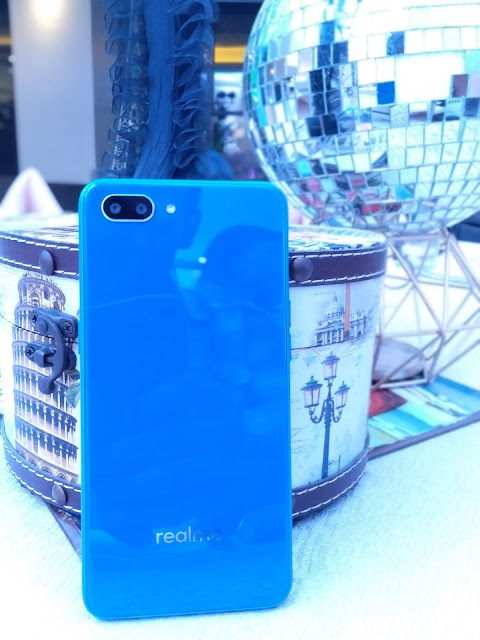 To celebrate the partnership, Realme C1 will be having its first flash sale this year on January 30. 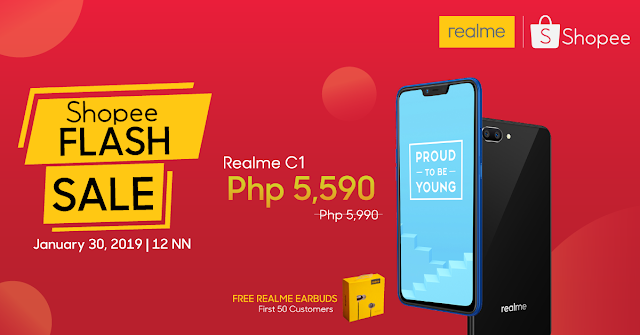 The budget smartphone royalty will be available for only PHP5,590 on the official Realme Shopee store from 12NN to 2PM. Customers are advised to add the C1 to their carts fast because the first 50 buyers will get a brand-new pair of Realme Buds, the company’s official audio accessory. The RealmeBuds are in-ear earphones with 11mm drivers that deliver 160 percent louder bass and redefined quality. Each pair of budsis packed with magnets, making it easier to clip and store or carry. The Realme Buds also feature the contemporary and stylish design the brand is known for. The enameled copper core comes with Kevlar fiber for utmost protection and durability, ensuring many hours of entertainment with the Realme C1. 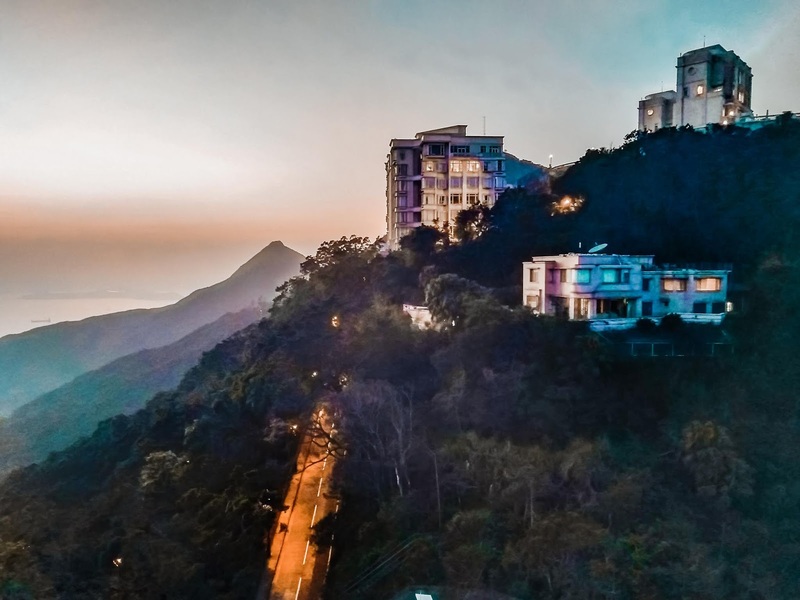 Realme’s expansion online and in-store is seen as reflective of its fast growth given it has been in the country only two months. Realme further widens its online reach by partnering with online platform Shopee. “This partnership with Shopee will broaden our nationwide reach, in particular in rural areas given the platform’s strong rural presence.The brands’ shared vision is to offer more value to Filipino consumers through making quality products more accessible. Together, we are making that possible,” shares Realme Philippines Chief Operating Officer Jacky Chen. The Realme C1 is an entry-level smartphone well received by tech experts and consumers. The C1 is widely praised for offering the best value at PHP5,990 with its mega 4,230mAh battery, 6.2-inch full notch screen, dual AI cameras and Snapdragon 450 octa-core processor. Delivering more value to entry-level users, the Realme C1 was recently updated to ColorOS 5.2.1,which guarantees faster navigation and loading, and enhanced security. After the January 30 flash sale, the price of the Realme C1 on Shopee will revert to PHP5,990.